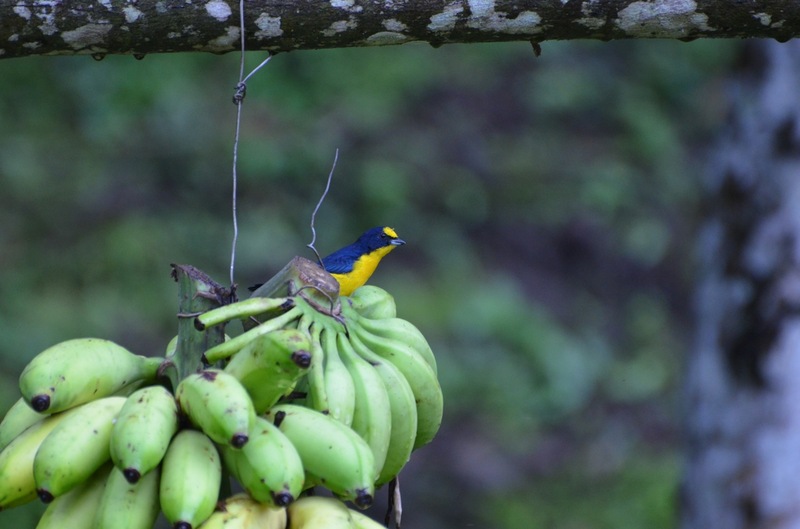 Jennifer Wolcott shares this photo of what looks pretty much like a male Yellow-throated Euphonia. Problem is, the bird was seen at Chicá, over 250 km west of the species' known range. But, hey, stranger things have been known to happen happened. The bird was photographed on Sunday, October 14, at the feeders at La Joya de Chicá B&B. If you swing by to look for this rarest of Panama euphonias, try and get a female.